c1927, model 28 is a magnetic loudspeaker, manufactured by Tower Mfg. Co., Boston, Massachusetts, USA. 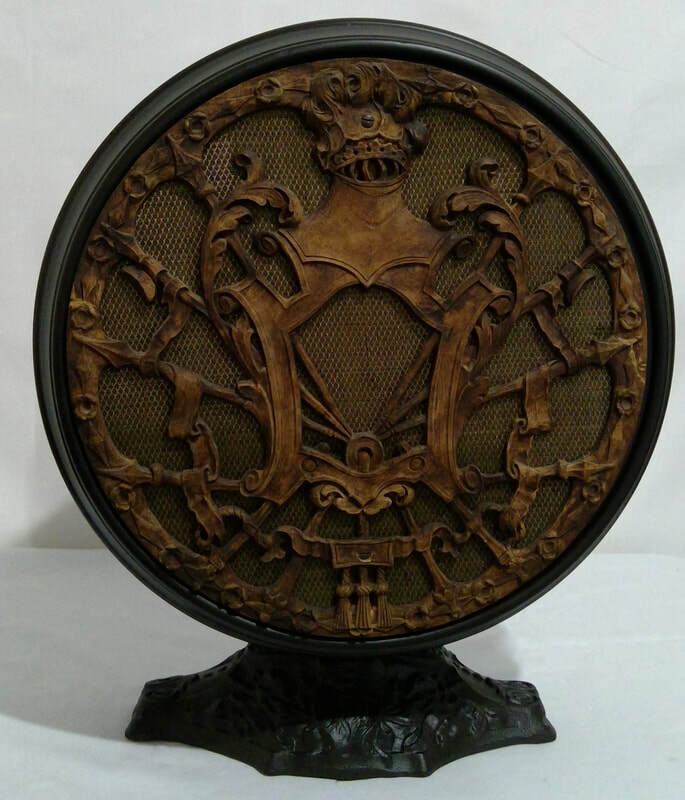 It is a round table style with a metal construction. Dimensions: Height 390mm x Diameter 320mm. 1927, model Adventurer is a paper cone loudspeaker manufactured by Tower Manufacturing Co., Boston, Massachusetts, USA. It is a decorative table mantle with light. 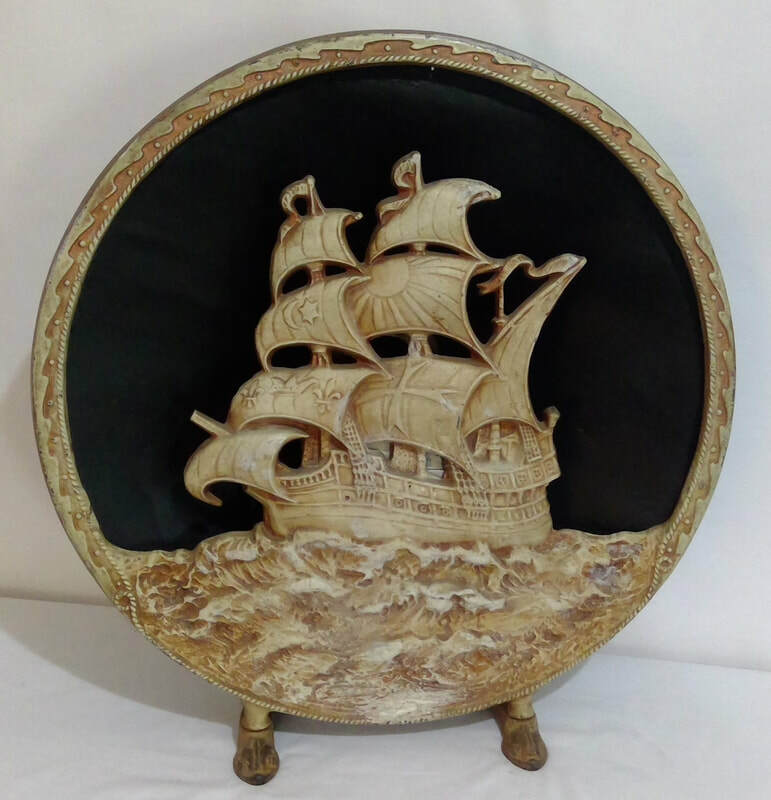 It is finished in cast iron and painted around the frame and Galleon ship. Dimensions: Height 460mm x Diameter 450mm.